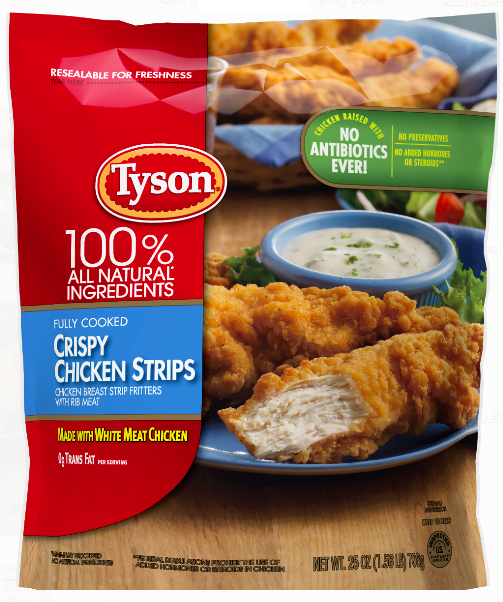 According to a USDA announcement made on Thursday, Tyson Foods is voluntarily recalling over 69,000 pounds of frozen chicken strips due to the potential presence of "pieces of metal" in the product. The products were shipped to stores nationwide, so be sure to check your freezers to see if you have the contaminated product. Each of the bags is 20-25 ounces and contains a "best if used by" date of Nov 30, 2019, as well as an establishment number of P-7221 on the back. 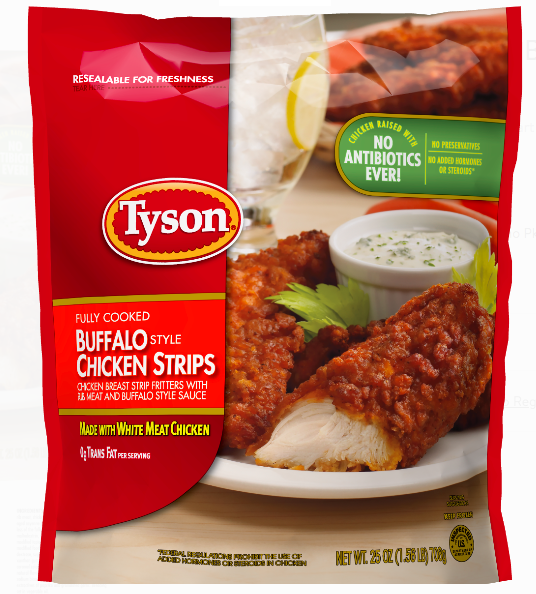 There have been two reports of complaints to Tyson Foods so far. According to the USDA's website, "FSIS is concerned that some product may be in consumers’ freezers. Consumers who have purchased these products are urged not to consume them." Timestamps of 17:00 through 18:59 hours (inclusive). Timestamps of 19:00 through 22:59 hours (inclusive). If you have consumed the product, consult with your doctor immediately. Consumers with food safety questions can "Ask Karen," on the USDA's website by computer or mobile device and may call her at 1-888-674-6854 between 10 a.m. and 6 p.m.
You can also return the product to the store of purchase for a full refund or dispose of the items properly. Keep an eye on the FSIS website for the retail locations which will be posted later. For more information, you can check the official recall on the USDA's website here! View the labels here! Do you have the contaminated product in your freezer? Tell us in the comments below. 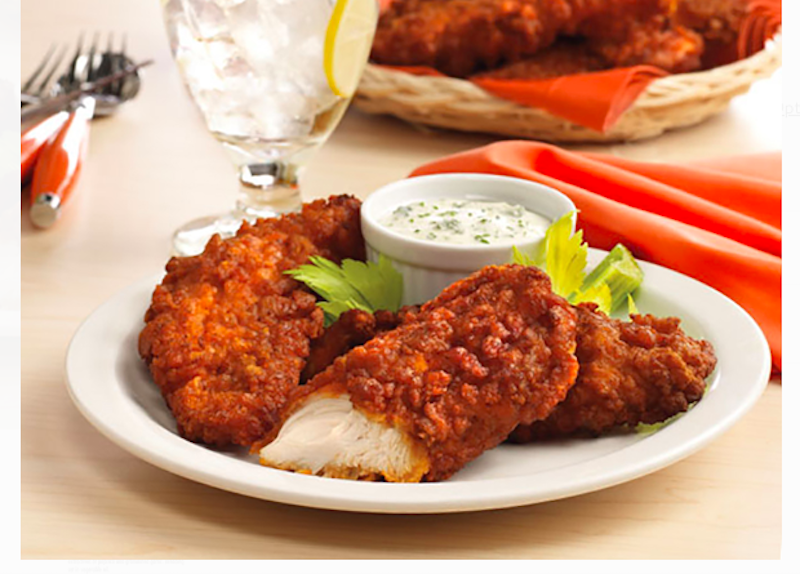 Other frozen chicken recalls of late include: Perdue's Fun Shapes Chicken Nuggets and Perdue's SimplySmart Organics Chicken Nuggets.